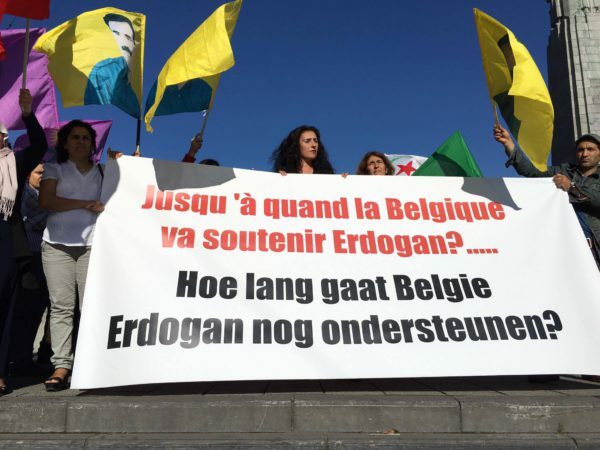 Home English Actua & Analysis Belgium court decided not to prosecute the Kurdish associations and politicians for terrorism. Belgium court decided not to prosecute the Kurdish associations and politicians for terrorism. In 2009 an investigation was opened by the Belgian Federal prosecutor against Kurdish politicians and associations for terrorism. Amongst them were Remzi Kartal, Zubeyir Aydar, Adem Uzun, the Kurdish Television and other Kurdish associations in Belgium. Today the Brussels Court decided not to prosecute them. The judge decided that there is an armed conflict going on in Turkey and therefore the terrorism law cannot be used. He also decided not to prosecute the Kurdish Television since he considers their prosecution might be in violation of the right of the freedom of speech. This resolution recognises that a war is going on in Turkey and that the allegations of the Turkish state, saying that the Kurds are terrorists, is false.